Geraldine Brennan is a Doctoral Researcher at the Centre for Environmental Policy. 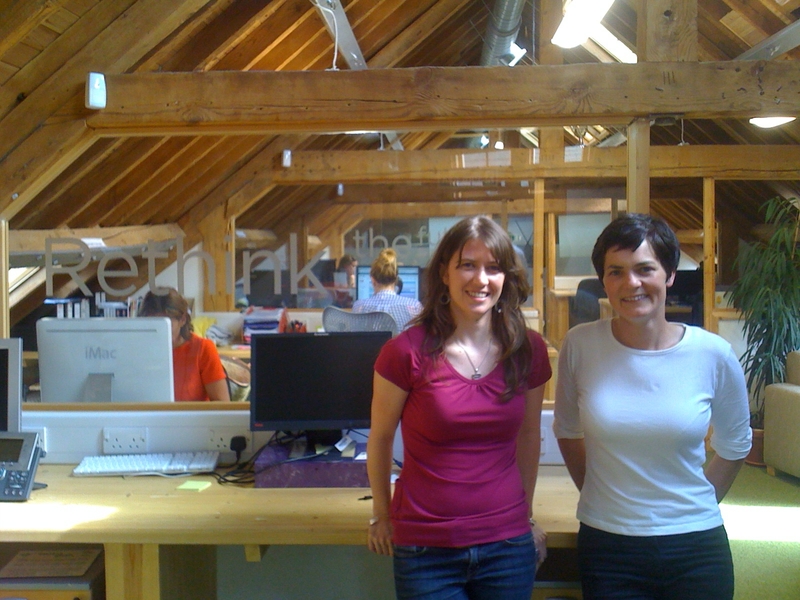 She is funded by the EPSRC Centre for Innovative Manufacturing for Industrial Sustainability, a collaboration between Cambridge University, Cranfield University, Imperial College London, Loughborough University and Climate-KIC, one of three Knowledge and Innovation Communities (KICs) created in 2010 by the European Institute of Innovation and Technology (EIT). Geraldine’s research explores systems-based business model innovation within the case study of a closed-loop or circular economy and is supervised by Dr. Mike Tennant. 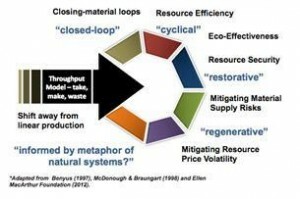 So what is the Circular or Closed-Loop Economy? My PhD explores how concepts like closing-the-loop, ‘cradle to cradle’, ‘waste=food’, biomimicry, ‘the blue economy’ and whole-systems thinking are being used to apply the metaphor of natural systems to the production of goods and services in the industrial economy. It also looks at the extent to which these frameworks can lead to a 75% reduction in natural resource use, and a reduction of 80% in associated carbon emissions, by 2050. The closed-loop or circular economy model has emerged from the discipline of industrial ecology (also known as industrial symbiosis) in which the functioning of ecosystems has been used as an exemplar for industrial processes and systems. The application of this idea at an economic level has risen to prominence since last year’s World Economic Forum (WEF) where Dame Ellen MacArthur launched the 2012 Towards a Circular Economy Report. This report synthesised concepts from industrial ecology, cradle-to-cradle, biomimicry, regenerative design and ‘the performance economy’ and highlighted a $380 billion opportunity for the European Union associated with consumer durables which are goods like mobile phones, washing machines, fridges and cars etc. On January 25th at this year’s WEF, Dame MacArthur launched the 2013 Towards a Circular Economy Report Volume 2: opportunities for the consumer goods sector outlining the $700 billion global opportunity for short-lived single-use consumer goods with examples from the food and beverages, apparel and packaging sectors. I had the opportunity to work with the Ellen MacArthur Foundation last summer and got involved by developing and co-facilitating an industry workshop at their Circular Economy Knowledge Transfer Network hosted by Cisco House, in the Olympic Park last May. This workshop explored the implications of circular business models for the value chains of the automotive, consumer electronic, footwear and retail furniture sectors. It highlighted the need for industry wide collaboration across and between value chains in order to facilitate a potential transition from a linear ‘take-make-waste’ or ‘cradle to grave’ production system to one whereby materials, components and goods have more than one useful life and are re-used, repaired, reconditioned, remanufactured and ultimately cycled at different levels in the economy. In August, thanks to funding from the Imperial College Charity Insights Programme, I got to spend a month on a research placement with the Ellen MacArthur Foundation at their head office in Cowes on the Isle of Wight. During my time with the Foundation I explored the extent to which an organisation’s business model enabled a circular economy even if they didn’t achieve closed-material loops. One organisation I interviewed and subsequently wrote a case on was FLOOW2 – an online intermediary company that is facilitating collaborative consumption in the business-to-business sector (you can read the case here). So what are the challenges in terms of implementing a closed-loop or circular economy? Historically this debate has been framed in terms of resource efficiency, resource security, mitigating material supply risks and mitigating resource price volatility. 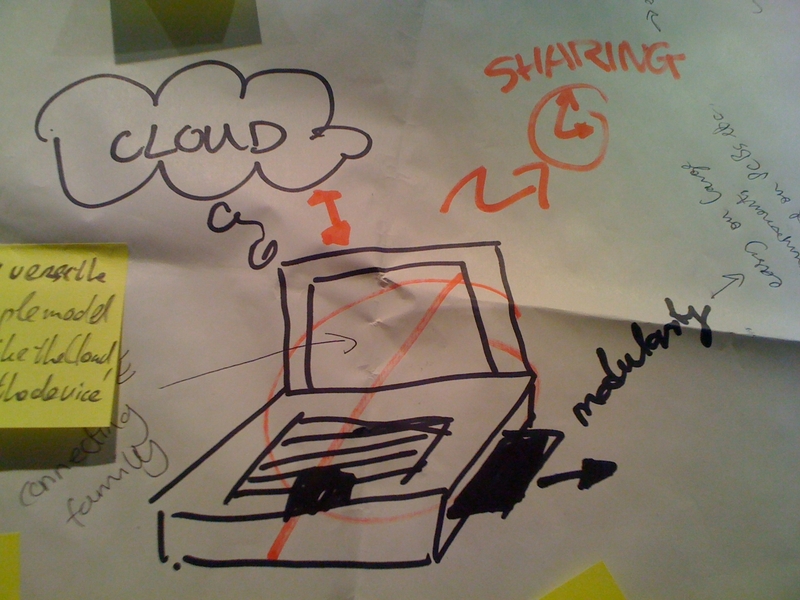 Whilst these are strong motivations, getting your head around how to ensure your company’s actions lead to ‘eco-effective’* (rather than ‘eco-efficient’) outcomes – by re-designing products and services so they are restorative and regenerative in terms of natural, financial and social capital- is no easy task, especially for established organisations trying to divert their trajectory away from an investment in infrastructure that ultimately results in a linear cradle to grave system. Fuzzy Concepts. I have found that the language around resource efficiency and the closed loop or circular economy is being used interchangeably, yet in some instances increasing efficiency in a linear/take-make-waste/cradle to grave production system is at odds with the principles of a transition to a circular, ‘cradle to cradle’, closed-loop production system. Secondly, how do organisations know when the goods they have produced will reinforce a restorative or regenerative system? Despite the number of organisations working in this space** Julie Hill, Chair of the Green Alliance’s Circular Economy Taskforce commented at a recent CEP Thursday Evening Policy Seminar that there is still no agreed shared view of what a circular economy means or how exactly we get there in the UK. Context is Key. I have discovered that strategies put forward to achieve reductions in natural resource usage and associated carbon emissions by both the ‘eco-efficiency’ and ‘eco-effectiveness’ camps are often contradictory. For example, when designing a component or product you need to consider the implications of applying the concept of dematerialisation or light-weighting versus up-weighting; you can’t do both! I also discovered following a number of really interesting conversations with Sharon Prendeville, a doctoral researcher at the EcoDesign Centre, that being able to design a product which is modular, easily disassembled and allows for upgrading may influence your choice of materials and could result in a product or component that ultimately has a higher negative environmental and social impact than if you didn’t try to incorporate these functionalities at all – yikes! Cost ££££ of the switch. Whilst the Ellen MacArthur Foundation’s two reports have outlined the billion dollar opportunities at a macro-economic level there are upfront costs that any organisation faced with re-tooling will have to confront before reaping the benefits of longer-term mitigation of resource price volatility. There are also barriers in relation to traditional retail finance which can make it costly for SME’s to access finance to support their cash-flow if they switch from a sales based business model to a performance-based business model, and lastly the question of who will own and/or fund the infrastructure for reverse cycles is unclear. Exciting times lie ahead – heralded by trends like generation Y, the cloud, co-creation and new business models like collaborative consumption, the sharing economy, secondary markets, pay per use, leasing models, dematerialisation (NetFlix/NowTV powered by SKY)… However, whether we can overcome the transaction costs associated with fully closing material loops, in terms of product re-design and re-tooling for all products, or whether we need to simultaneously reduce consumption and potentially stop producing some throw-away products altogether…remains to be seen. When all’s said and done, it does not make sense to me to throw away anything that has had energy or value embedded into it; as Nigel Stansfield from InterfaceFLOR put it to me once, “there is no away”…! * Eco-effective versus Eco-efficient – William McDonough & Michael Braungart, in their 1998 article The Next Industrial Revolution, argued that ‘eco-efficiency’ strategies focus on reducing negative impacts/emissions or ‘doing more with less’. In their 2001 article, Five Steps Towards Reinventing the World/Step 5: Reinvention, they argue that ‘eco-effective’ strategies are ones that ultimately question the function a product serves and seek to re-design systems that intentionally have a positive environmental, social and financial impact to meet these functions. Their design method ‘cradle to cradle’ sets out how this can be achieved by dividing materials or components into the categories of either ‘biological’ or ‘technical’ nutrients and then creating systems to cycle these within these two separate systems or what they call ‘metabolisms’. Over the last few years a number of organisations in the UK have advocated for the idea of closed-loop/circularity and there are a number of reports, taskforces and competitions associated with the concept. The Green Alliance have formed the Circular Economy Taskforce and published Reinventing the Wheel: A circular economy for resource security in 2011. The Aldersgate Group in conjunction with the Ellen MacArthur Report launched two reports on the subject in 2012: “Resilience in the Round: Seizing the growth opportunities of a circular economy” and “Skills for a Circular Economy”. Edie.net and Local Authority Waste & Recycling have recently launched a campaign called Resource Revolution and are hosting the Resource Revolution Awards 2013. WRAP UK (a member of the Circular Economy Taskforce and contributor to the Ellen MacArthur Foundation’s 2013 Towards a Circular Economy Report Vol.2) also launched their vision for a circular economy in the UK to 2020 at Davos last Friday.